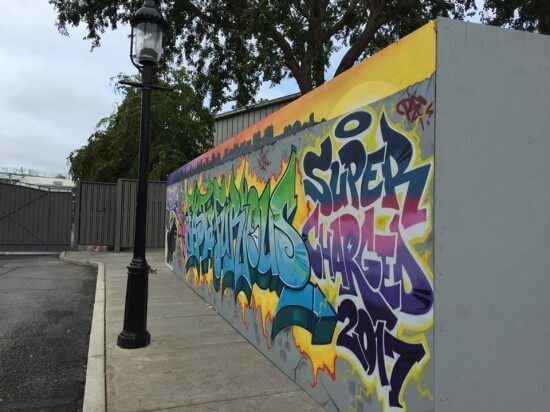 PHOTOS: Universal Orlando Tidbits - Beetlejuice’s Graveyard Revue, Harry Potter, Finnegan's Bar & Grill and more! 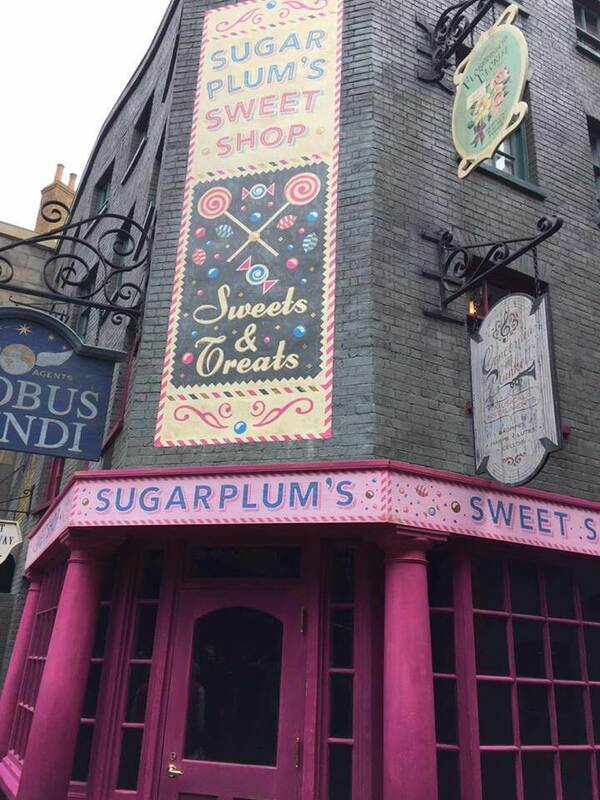 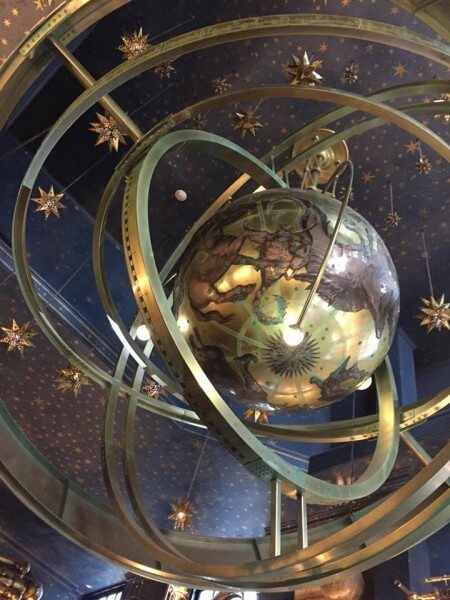 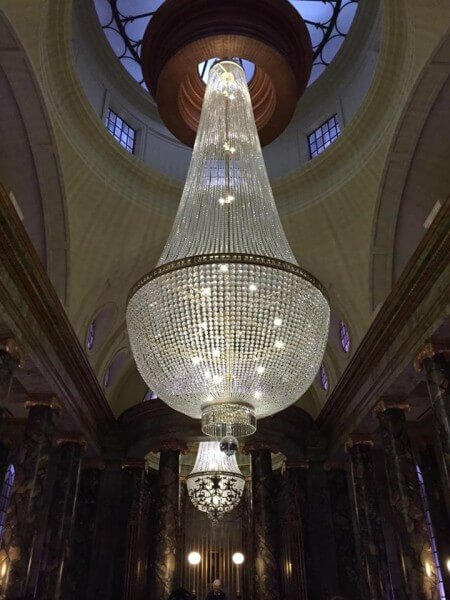 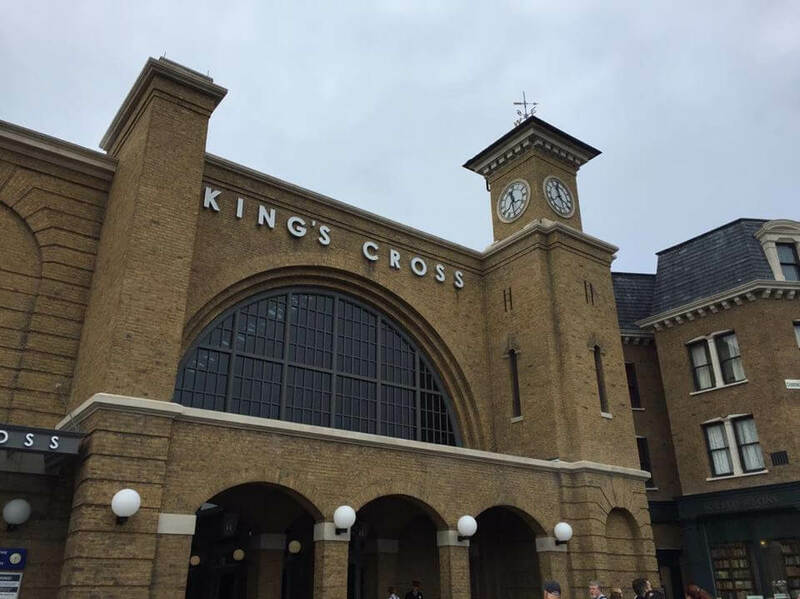 Today we are back with another tidbits post but we are changing it up a bit and making a trip to Universal Orlando instead. 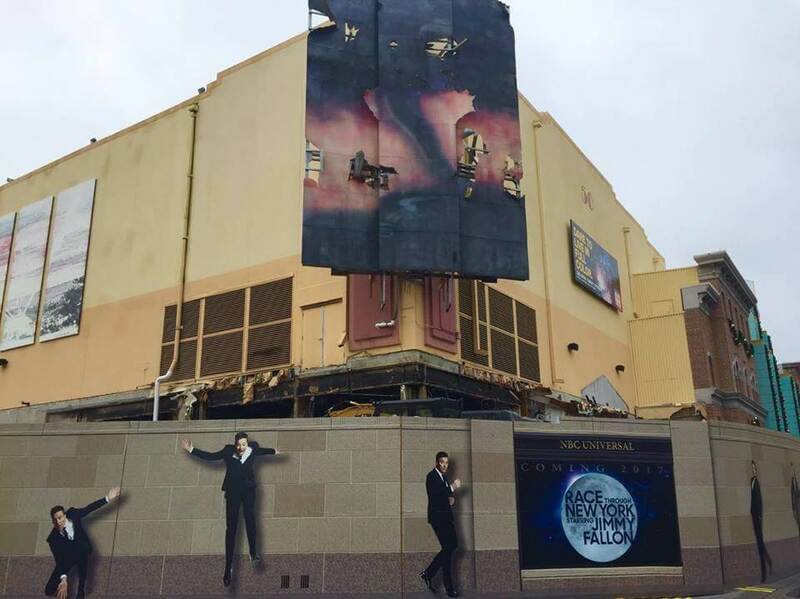 Follow along and see what is new and happening at Universal Studios. 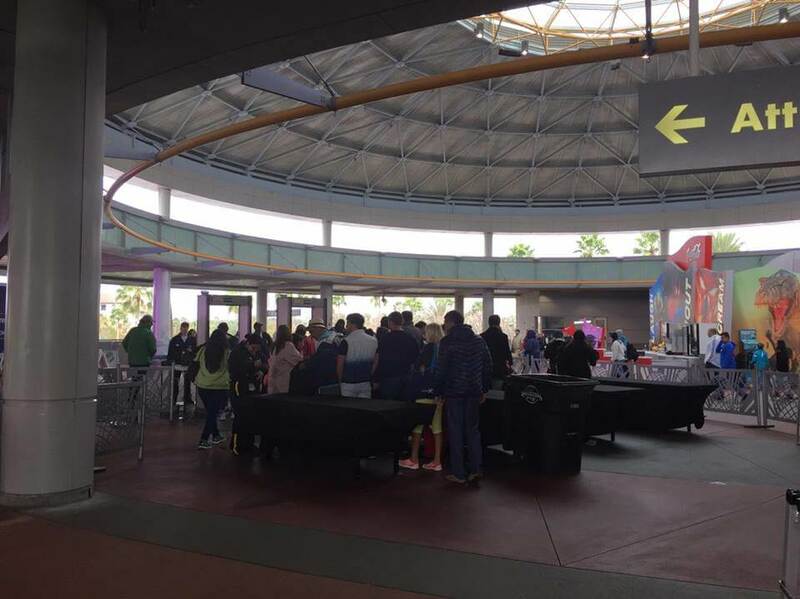 New safety procedures at Universal Orlando has made metal detectors necessary right outside CityWalk. 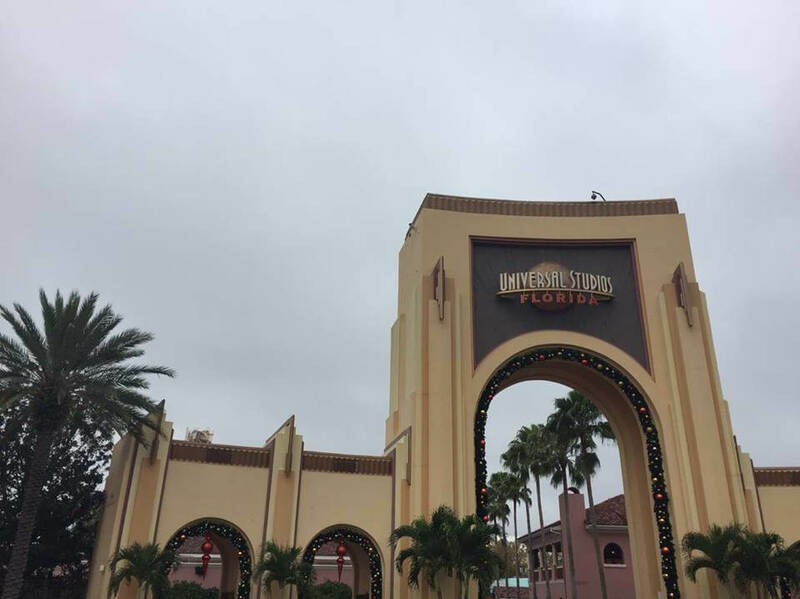 It was a grey and rainy morning when we arrived at Universal Studios. 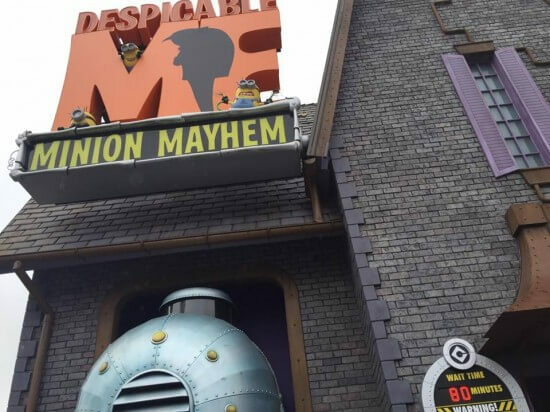 Minion Mayhem was sporting an 80 min wait already at 10 am. Most likely because this is the first major attraction when you enter the park. 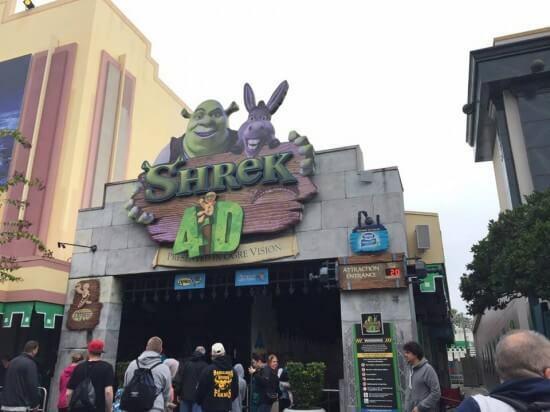 Opposite Minion Mayhem, the Shrek 4-D attraction did not seem as popular. 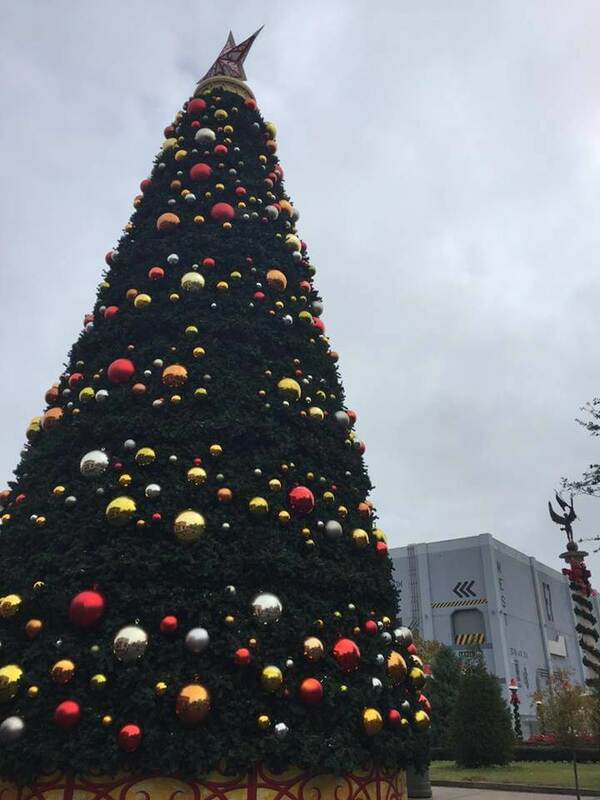 Christmas decorations were still up even though we have now entered January. The Twister ride continues to be demolished to make way for the upcoming Race Through New York starring Jimmy Fallon attraction. 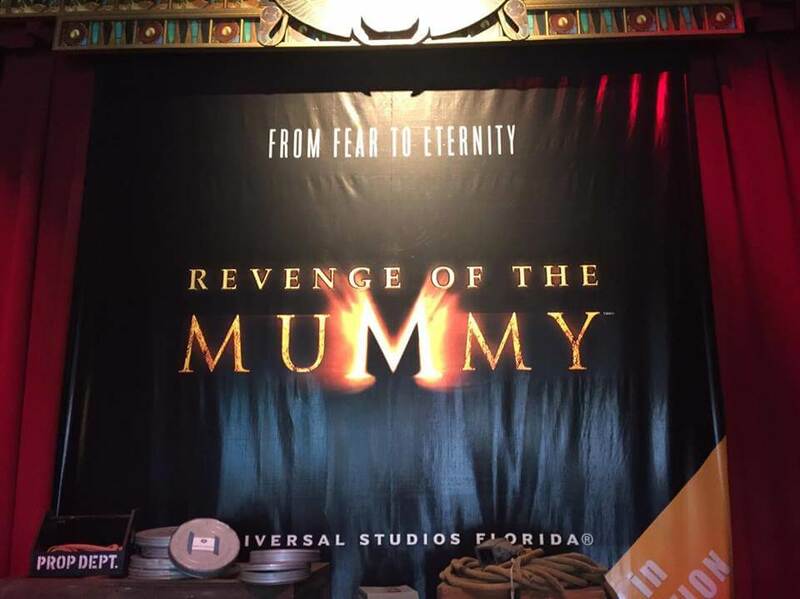 Revenge of the Mummy was just 10 minutes and is always a fun ride. 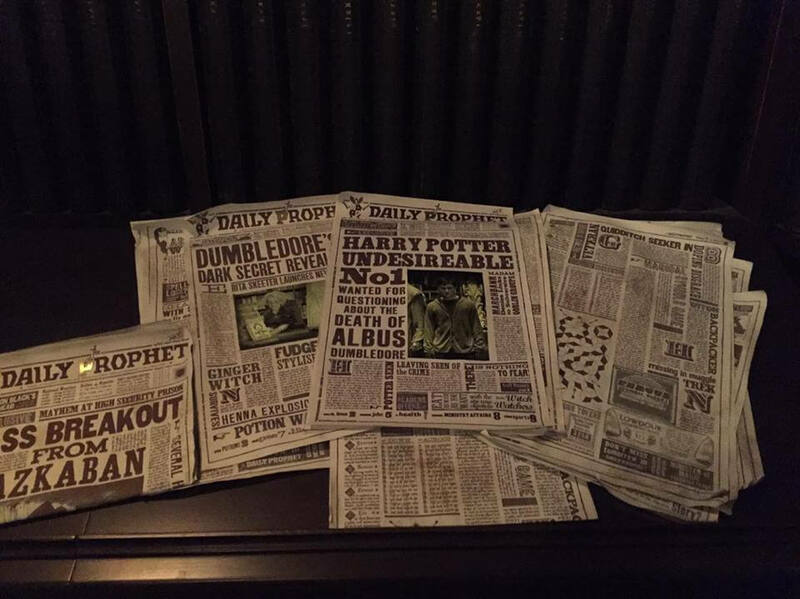 Recent rumors have started circulating it may not last for much longer. 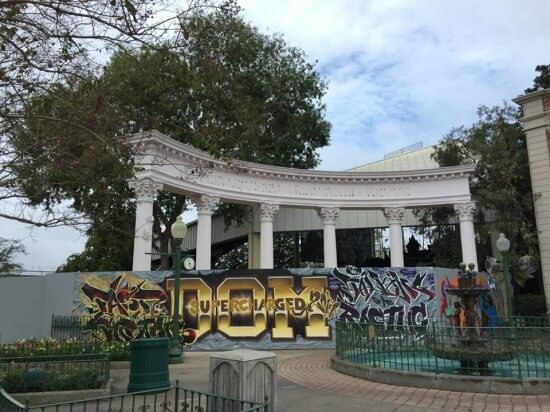 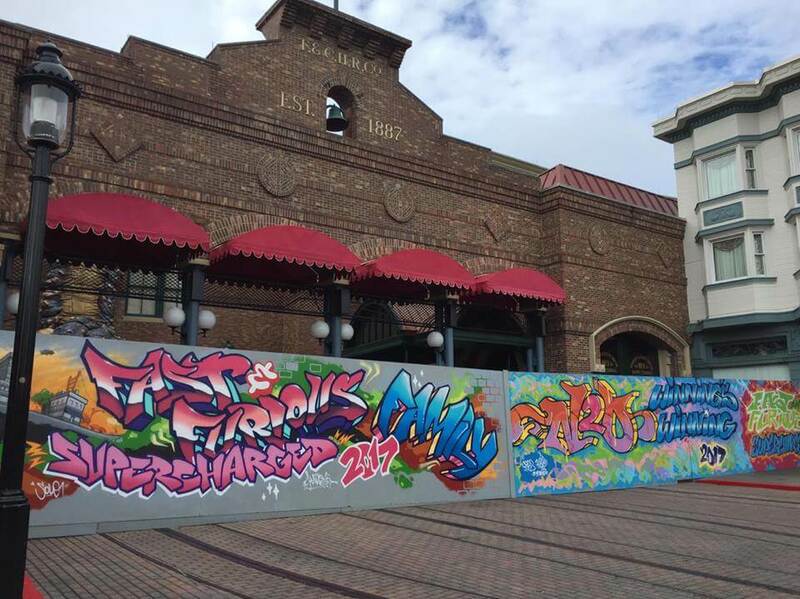 Beetlejuice’s Graveyard Revue has now closed its doors and walls are now up announcing its replacement attraction “Fast and Furious”. Similar walls are outside the old home of Disaster. 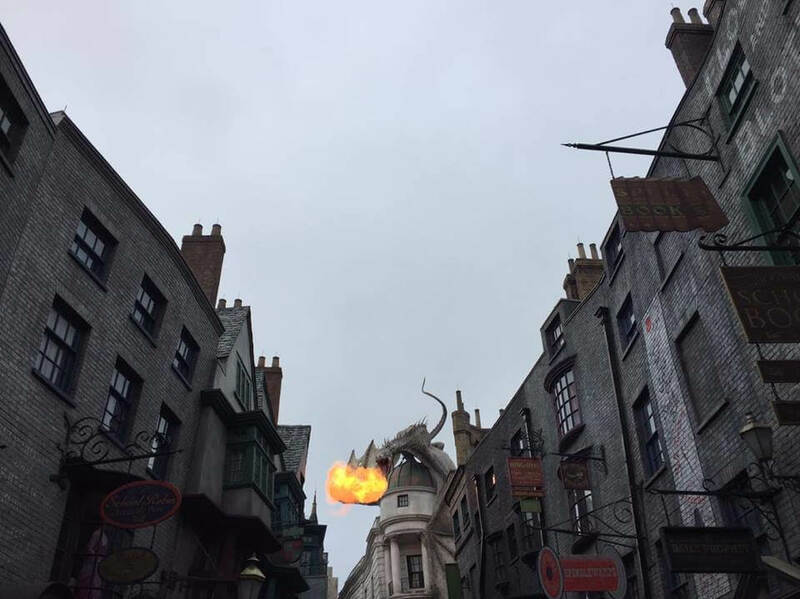 The weather made walking into Diagon Alley even more authentic. 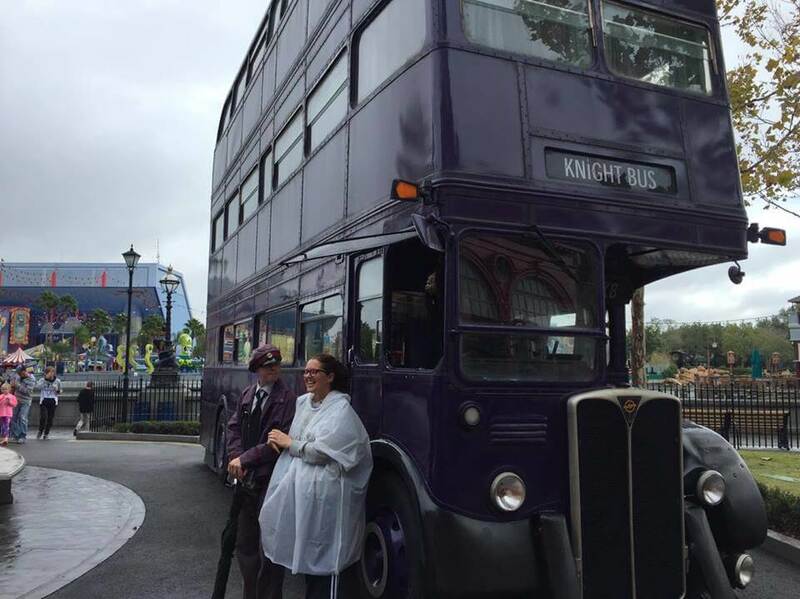 Knight Bus fans flock to this location. The most exciting fire show in the Wizarding World of Harry Potter. 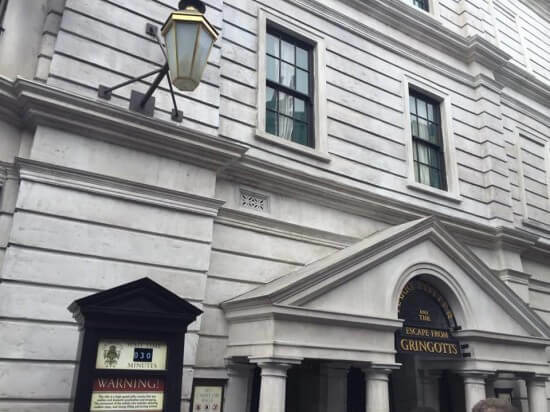 Escape from Gringotts only had a 30 minute wait. 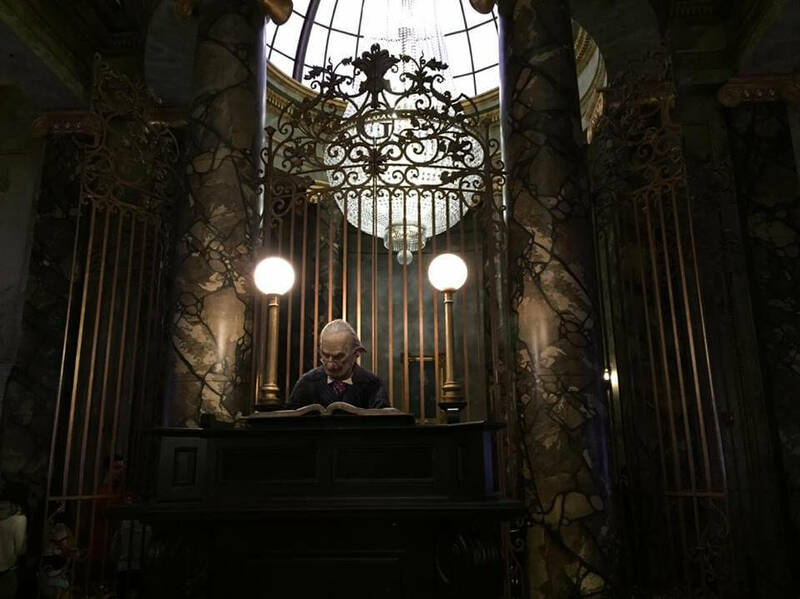 The queue is as impressive as always and has tons of hidden details all around. 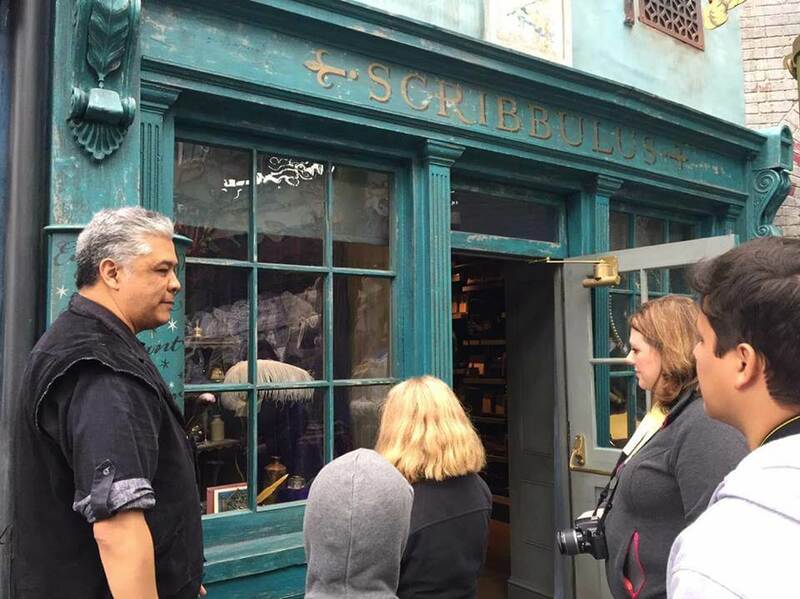 Diagon Alley shops and wand location continues to be immensely popular. No wonder when you see the amount of details have been put into them. 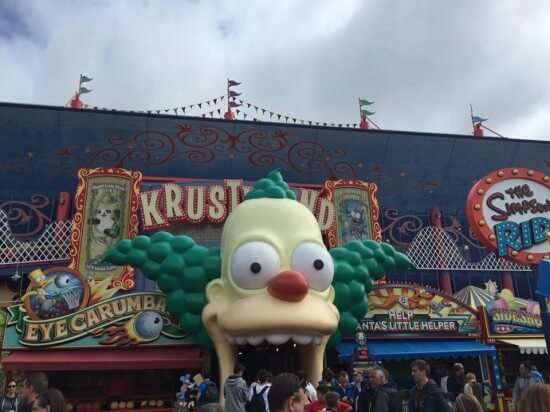 Krustyland recently removed a photo opp for even more midway games. 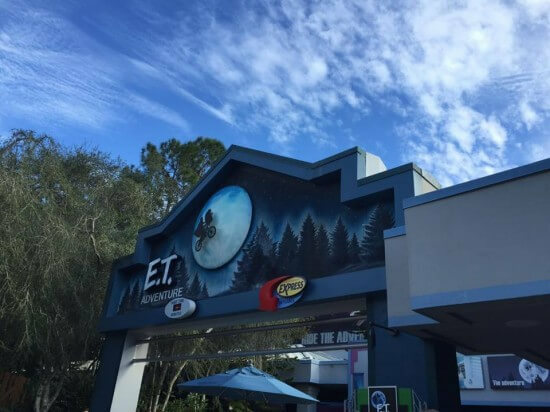 The E.T. 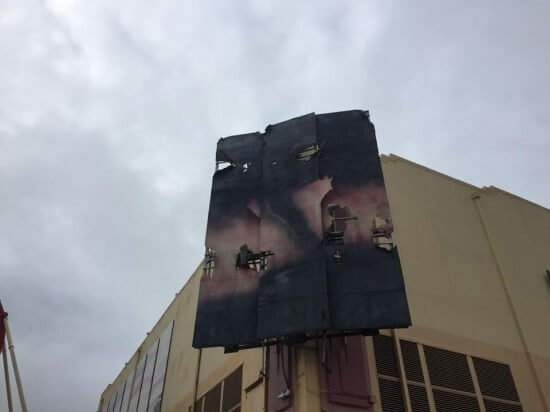 ride is definitely showing its age and may not have much time left in the park. 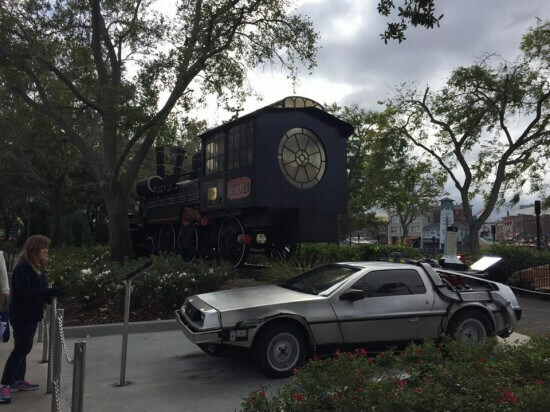 Back to the Future mania is still strong in the park with this classic photo opp. 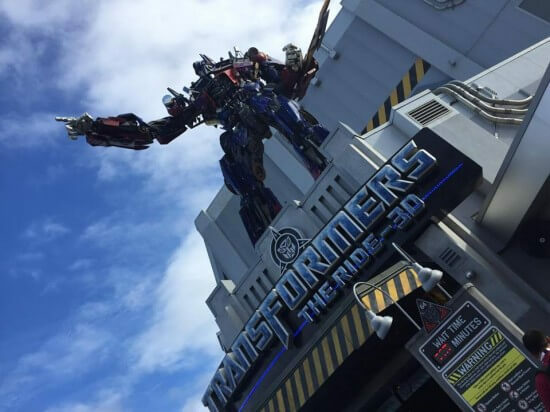 Transformers 3D was around a 80-110 minute wait the whole day. 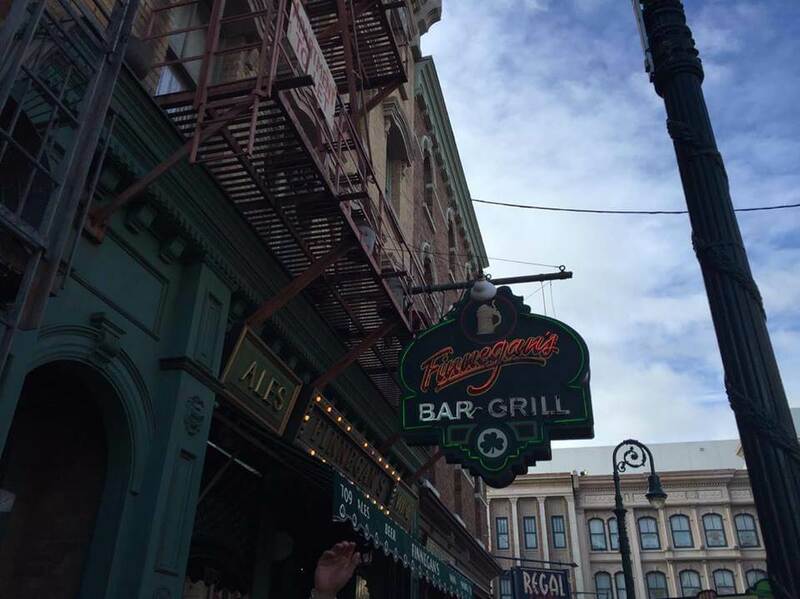 Finnegan’s Bar & Grill is one of the best food options in the park. Sit down meal for fast food prices. Most things on the menu are around $10-$15. 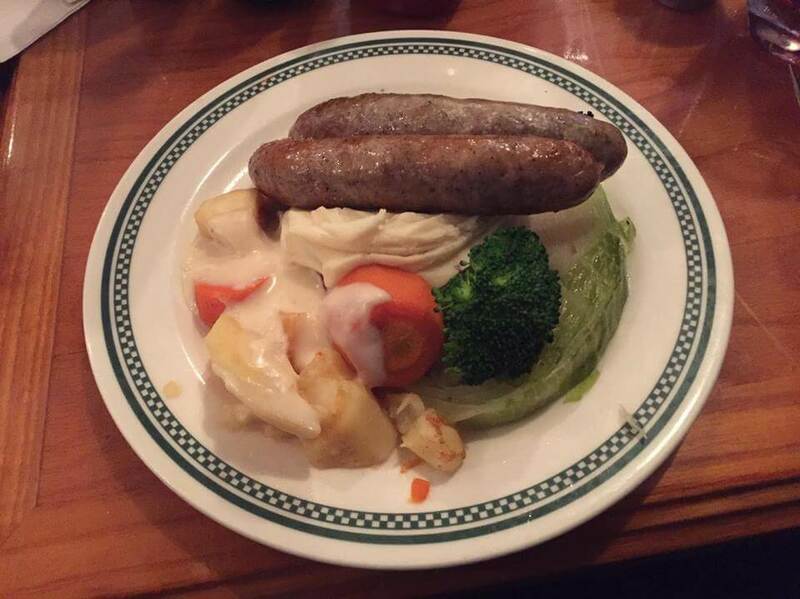 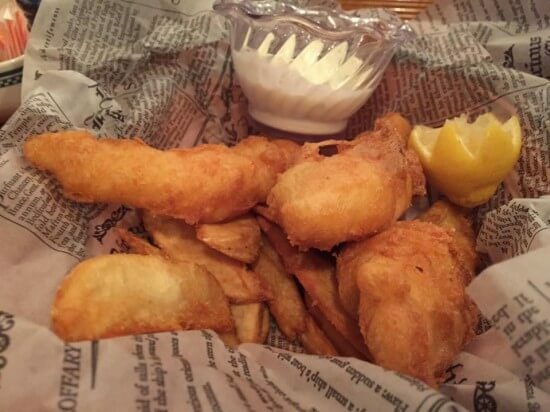 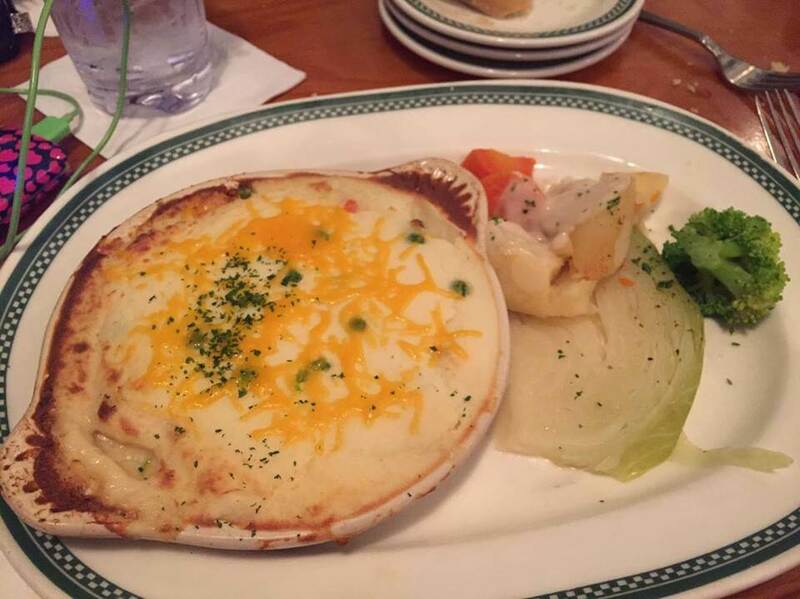 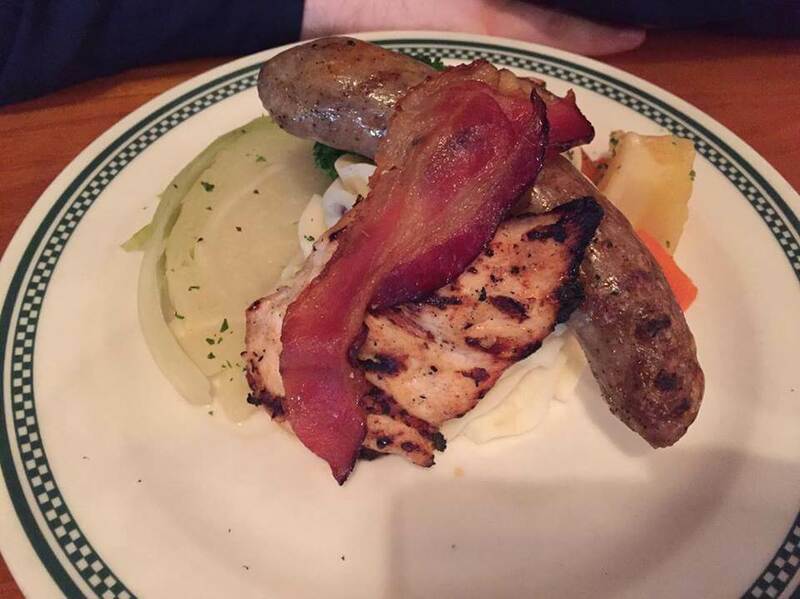 The restaurant serves Irish/English classics such as fish and chips, seafood pie and bangers and mash. 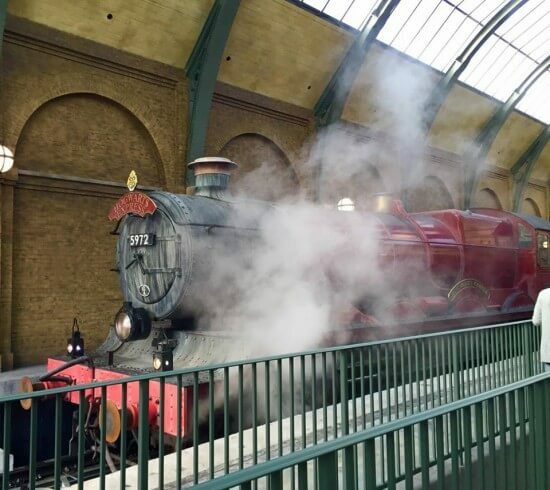 We ended our trip on the most famous train of all: the Hogwarts Express. Make sure to come back soon to see more travels to the parks in Tidbits. Revenge of the Mummy is a fantastic ride and I really hope those rumors are not true!